Bring your bike and attend a free, 90-minute skills training to prepare for the 2019 riding season. This training is led by a certified instructor with the State of MN & Harley-Davidson. All levels of learning welcome. Meet in the West parking lot at the Lakeville location. To register, please RSVP to Pastor Mike Swecker, Email by April 25. 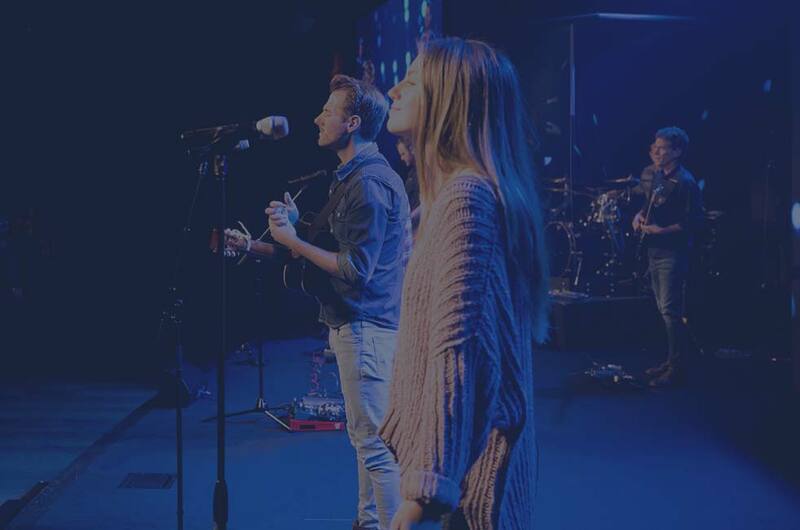 Inspire Nights are a monthly event designed to give you a place to pursue God’s presence and hear His voice through worship and prayer. In community with others, you’ll be refreshed and experience new inspiration to help you multiply the hope and heartbeat of Jesus. Mother's Day at Hosanna is a part of our Living BOLD sermon series. In services on May 11 & 12, you’ll be equipped to flourish as a woman of God. Hear stories from women living boldly and become inspired to step into your God-given calling. Whether you’re a mom, grandma, aunt, sister or friend, we can’t wait to celebrate you and the powerful, risk-taking women in our lives. If you can't make it to one of our locations, you can stream service live online on Saturday, May 11 at 5 pm or Sunday, May 12 at 9 & 10:45 am. - We suggest arriving early to allow plenty of time for parking, checking-in your children to Hosanna Kid's Church and finding a seat. - We are pleased to offer children's programming for kids ages 6 weeks-5th grade during services at all locations. Click here to learn more about Hosanna Kid's Church. - The Hosanna Gift Shop and Hosanna Cafe are open before and after services at the Lakeville Location. The cafe serves a variety of coffee and tea beverages, as well as snacks and treats. The gift shop sells Christian books and bibles along with jewelry, home goods and more. - Complimentary coffee and donuts are served before and after services at the Northfield and Shakopee locations. Hosanna Church Music Academy offers private lessons in guitar, bass guitar, drums, or piano/keyboard. The curriculum includes online practice resources to supplement private lessons. Once per semester, there is a bonus band experience to learn how to play with others. 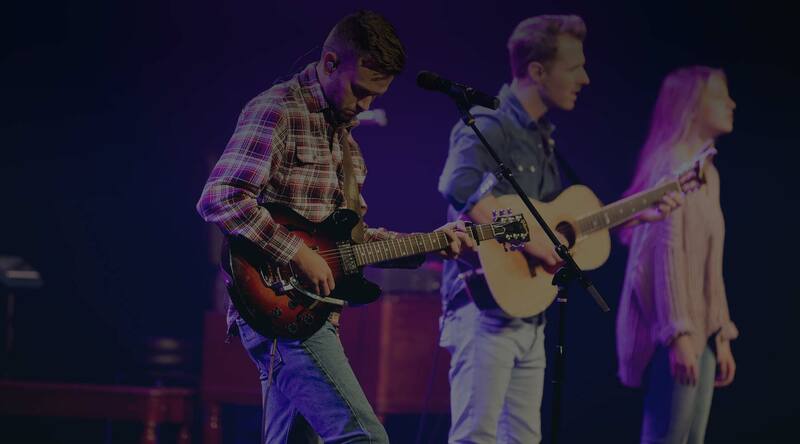 After 1-3 years of private lessons, students may audition for a position on a Hosanna Church Worship Team. If accepted, Hosanna Music Academy will cover half the cost of lesson tuition. Music Academy lessons are typically 1-3 months in length and are offered anytime throughout of year. Click here for Lakeville campus registration. Contact Amy Hotchkiss, Music Arts Administrator, at with questions. The Hosanna Church Men's Group is a community dedicated to empowering all men to become the people God created them to be. In this group, you’ll grow in faith while multiplying the hope and heartbeat of Jesus in your home, work, and in the south metro. Men's Group at the Northfield location meets on Saturdays at 8 & 10 am and on Thursdays at 7 pm. To join, please contact Randy Yoder at . Hosanna Church prayer intercessors gather for a variety of topical prayers reflecting the times and culture. Bring a coffee, your Bible, and come jump start your day with prayer. Prayer Force meets Thursdays in the Hosanna Church Chapel Prayer Room from 7-8 am. No registration required. Email Mike Swecker, Associate Lakeville Campus Pastor, at with questions. We are excited to offer the exceptional Musikgarten Curriculum to our preschool kids. These fun, interactive classes will nurture your kid's musical aptitude. Various educational skills such as focused listening, language development, refined motor skills, and body awareness will be addressed in these classes. Classes are 30-minutes and are offered on Wednesdays and Thursdays beginning in February, 2019. Kids must be accompanied by an adult. Click here for Lakeville campus registration. This winter, come alongside a group of women passionate about digging deeper into God’s Word while growing in community. The winter 2019 study will focus on Kelly Minter’s, "All Things New," about Paul’s letter to Corinth. Thursday Evening Women's Bible Study meets weekly in Room 14 at the Lakeville campus from 6:15-8:30 pm. Click here to register. In Women’s Group, you’ll be empowered to multiply the hope and heart of Jesus. This winter, the large group will focus on the “Enough” study by Sharon Jaynes. Women's Group meets on Thursdays at 7 pm in the Chapel. No registration needed. Immersion Baptisms are offered five times per year during each service at all campuses. Immersion baptisms are available for adults and youth in 5th grade and up. Click here to register. We believe that baptism is first and foremost about the unmerited grace and abounding love of God freely extended to us through Jesus. Therefore, we baptize adult believers (Acts 8:26-39) and the kids of believers (Acts 16:15, 1 Corinthians 1:16, Luke 18:16). Baptism of Youth/Adults: As a response to God’s unwavering promises and finished work in Jesus (Colossians 1:1:13-23), baptism is a means of grace that affirms the redemptive transformation that is taking place within a person who has accepted and confessed Jesus as Lord and Savior (Romans 10:9). Baptism isn’t a prerequisite for salvation. However, baptism publicly affirms all God has done, is doing and will do through Jesus for those who in faith have said “yes” to following Jesus. Baptism of Infants/Children: We believe that the promises of God for his people are extended, as a means of unmerited grace, to the children of believing parents (Genesis 17:7; 1 Corinthians 4:17). We teach that it is necessary for children who are baptized to come, in God’s time, to a personal saving faith in Jesus (John 1:12-13; 3:16-17, Romans 10:9) for the promises of baptism (Romans 6:3-4, Mark 16:16, 1 Peter 3:21) to be fully realized. In other words, the free gifts offered in baptism must eventually be opened. We accept the baptisms of those who come to us from other congregations and denominations as valid, provided that they were performed with water in the name of the Father, Son and Holy Spirit (Matthew 28:19). We do not teach that unbaptized children who die are lost for eternity. We do not teach that individuals who were baptized as children need to be baptized again as adults. However, we do welcome and celebrate reaffirmation of earlier baptisms.